As usual, Hi-Rez previewed its upcoming SMITE patch notes (scheduled currently for August 19) on its Friday stream. Shadow Zone – Passive: Allies within 30ft of Cabrakan take 5% reduced damage. Seismic Crush: Cabrakan becomes enraged, increasing his movement speed by 15/20/25/30/35% for 5s. While active, Cabrakan’s next successful basic attack will stun for 1s and do 100/125/175/225/275 +50% of your magical power as bonus damage. Additionally, Cabrakan is immune to slows and roots while this ability is active. Cooldown 18s. Cost 50/55/60/65/70. 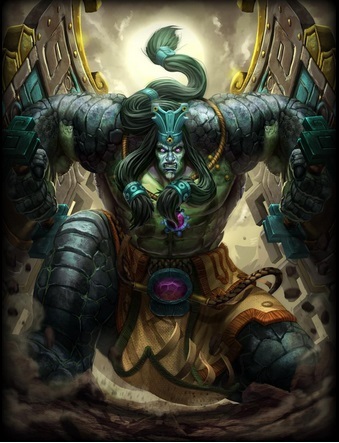 Passive: Cabrakan gains 15/20/25/30/35 increased Magical and Physical protections from his shields. As his shields take damage they store energy and gain up to 5 stacks but shed 3/4/5/6/7 protections per stack. Active: Cabrakan slams his shields together creating a concussive blast and damaging enemies in front of him for 90/140/190/240/290 +50% of your Magical power. If his shields have max stacks then the enemies hit are stunned for 1s. Cooldown 14/13/12/11/10s. Cost 65/70/75/80/85. Tremors: Cabrakan repeatedly slams the ground with his shields creating an earthquake and causing enemies around him to tremble. Enemies caught in the earthquake take 25/35/45/55/65 + 25% of your Magical power as damage every .5s and are slowly sucked in towards Cabrakan. Cooldown 8s. Cost 15/20/25/30/35 every .5s. Tectonic Shift: Cabrakan stomps the ground creating a wall of earth and a fissure that travels out in front of him and deals 100/200/250/300/350 +70% of your Magical power as damage to any enemies caught in its path. The walls may be destroyed if they take enough damage. Cabrakan may destroy his own walls with a single basic attack. Cooldown 75s. Cost 100. 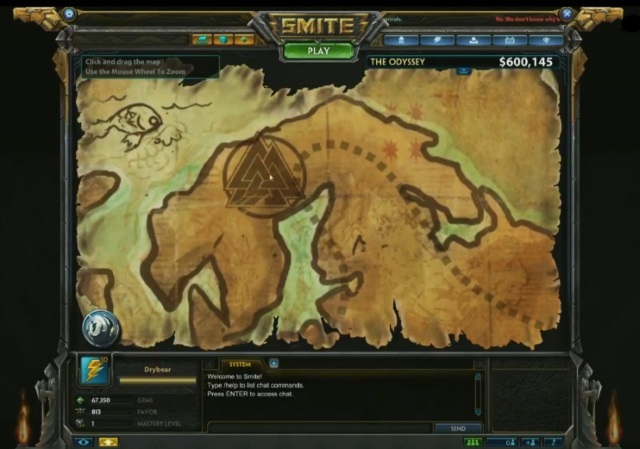 SMITE will also introduce “The Odyssey,” a new event to promote the World Championships, which looks like it will have gem purchases, an event map, and special rewards. The patch will also feature new skins (Diamonds, Run.exe Mercury, Rampage Cabrakan, Golden Rama, and Legendary Rama), new voice packs (Cabrakan, Run.exe Mercury), new emotes, and as always, balance changes. You can see the full patch note preview here.